Jake Arrieta struck out 10 Pirates over 7 innings of one hit shutout ball as the Phillies cruised to a 7-0 final. Charlie Morton shutout the Mariners over 7 innings, collecting 8 strikeouts as the champion Astros continued to roll, 9-2. Lorenzo Cain walked, homered and hit two doubles, scoring 4 times as the Brewers broke open a 12-3 beating of the Marlins. Leonys Martin singled, tripled and smacked a grand slam to lead the Tigers past the Orioles, 13-8. Wow, the Texas Rangers have been busy today. The Texas Rangers are all in ladies and gentleman. They have acquired Jonathan Lucroy and Jeremy Jeffress from the Milwaukee Brewers in a deal that is headlined by top prospects, Lewis Brinson and Luis Ortiz. This deal is a win-win deal for both the Texas Rangers and the Milwaukee Brewers. Lets jump into the analysis of this deal. Below you can find my analysis for the prospects ranked between 41-50 for the 2016 midseason top prospect list. If you want to see the full top 100 list, please visit the following link: SEE THE TOP 100 PROSPECT RANKINGS. I will be posting daily analysis of every player listed in the top 100, so please follow my blog and other social media for updates. Jason Groome (BOS, 17 Years Old, LHP): Well, this ranking won’t mean anything if the Red Sox don’t sign Groome after drafting him 12th overall in the 2016 MLB Draft. The Sox and Groome are still in negotiations, but nothing as been finalized yet. At only 17 years old, Groome is incredibly advanced on the mound. He throws a mid-90’s fastball from the left-side, which has great late movement. He also shows a great feel for his breaking ball and changeup. To go along with his great repertoire, Groome has showed great command for a kid his age. Many people expected Groome to go first overall in the draft, but he started to trend downwards due to maturity questions and sign-ability issues. If the Red Sox sign Groome, he has the upside of a frontline starter. Let me preface this article by saying that this deal will only be made if the New York Yankees are out of the playoff race near the trade deadline. As of right now, the New York Yankees are 22-24, and 6.5 games behind the Boston Red Sox. Considering how competitive the American League East is, there is a good chance the Yankees will be out of contention near the trade deadline, which means they will be sellers in the trade market. The Yankees’ number one asset to move will be one of their three elite relief pitchers, Dellin Betances, Andrew Miller, or Aroldis Chapman. Of the three, Andrew Miller is the most likely to be dealt. Miller is under contract until 2018 (signed a four-year/$36 million contract in 2015), which is what makes him so valuable to a contending team. So far in 2016, Miller has appeared in 19 games, with a 2-0 record, 0.96 ERA, 33 strikeouts, and one walk in 18.2 innings pitched. Trade Rumor: Will The Los Angeles Angels Flip Mike Trout? As of right now, the Angels only have 3 starting pitchers listed on their depth chart (Jared Weaver, Hector Santiago, and Nick Tropeano). This team is falling apart and it could be time to make a drastic move. They are currently 13 – 18, but they are expected to continue to drop in the standings considering their team can’t stay healthy. Just to make matters worse, their farm system is widely considered to be the worst minor league system in baseball. With that said, is it time for the Angels to consider trading Mike Trout to restock their farm system and focus on building their team for the future? 1. Lucas Giolito (RHP; 21 Years Old; Washington Nationals): Giolito is commonly known as the top pitching prospect in the minor leagues. After recovering from Tommy John surgery in 2012, he has done nothing but impress every baseball scout, fan, and especially the Washington Nationals organization. Since his surgery, he has thrown 261 innings, with a 2.58 ERA, 83 walks (2.9 per nine innings), and 288 strikeouts (9.9 per nine innings). While his numbers are great, his physical projection is what makes him an elite prospect. Giolotu stands 6’6 and weighs 255 pounds. His body-type projects for a hard fastball, a nasty slider, and an exciting future. He throws his fastball in the mid to high 90’s and compliments that with one of the most elite breaking balls in the minor leagues. Assuming he can stay healthy, he has the ability to be a top 10 pitcher at his prime. He should get a promotion to the big leagues in 2016, but the Nationals will limit his innings this year as his career high (in 2015) is only 117 innings. 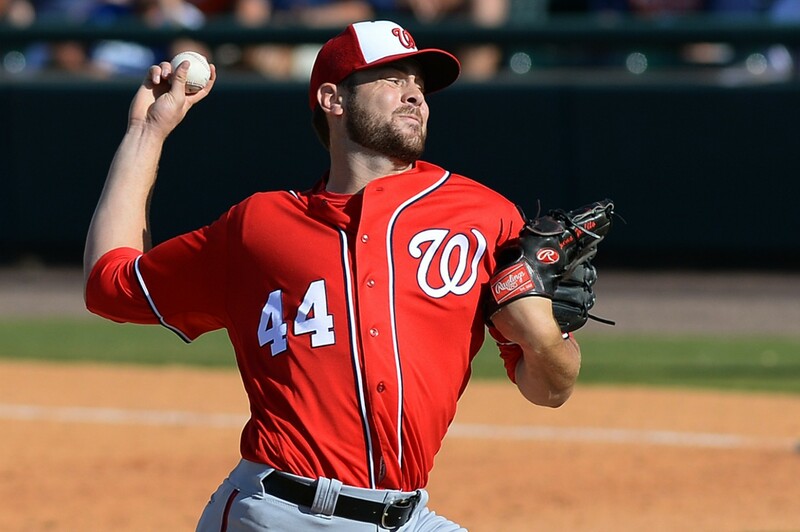 Before you know it, Giolito will be the household name in Washington, not Max Scherzer. The Texas Rangers possess 5 of the players we have in our 51 – 100 prospects. If this team is serious about getting younger even more with trades of Alex Rios or Adrian Beltre, perhaps they can add even more to the list In a year where they have had 20+ DL stints, maybe some of these young guys will find themselves in Arlington sooner – rather than later. To make this list you must be able to meet rookie eligibility. To be eligible for a list, a player must have rookie eligibility. To qualify for rookie status, a player must not have exceeded 130 at-bats or 50 innings pitched in the Major Leagues, or accumulated more than 45 days on the active roster of a Major League club or clubs during the 25-player limit period, excluding time on the disabled list or in military service. This list doesn’t include players in the 2014 Draft nor the 2014 international signing period.